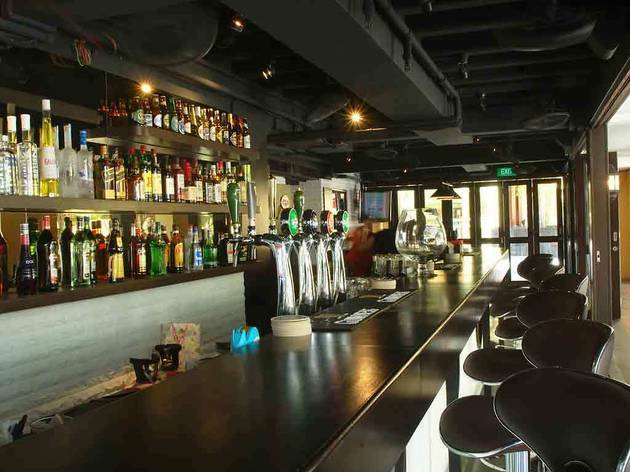 Sitting on the corner of Pekin Street and China Street, Bull and Bear provides both indoor and outdoor seating, a bar stocked with top-class beers, wines and spirits, and a menu that should keep the party going. Sporting events are screened on eight flatscreen TVs that are set up both inside and out. Bull and Bear serves set lunches of beef ale stew and bangers and mash from $12, but if you’ve only got time for a quick bite then grab-and-go sandwiches are available as well. The Bull and Bear Bombers – two plump English Oxford bangers, pan-roasted with mushrooms, topped with home-made tomato chutney, and your choice of cheddar or mozzarella – is another house special. 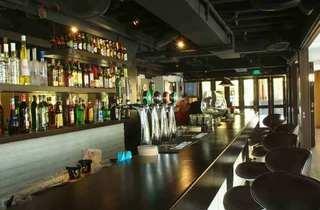 During happy hour (daily 11am-8pm) they have $40 buckets of Speight’s Ale or Steinlager Pure alongside a $50 food platter – piled high with bull wings, rosemary chicken skewers, salt and pepper squid, lamb falafel, cheese sausages, chicken tenders, mini fish cutlets, onion rings and a bucket of chips.